Our ultra light pre-filled air pillows are the lightest shipping solution available. 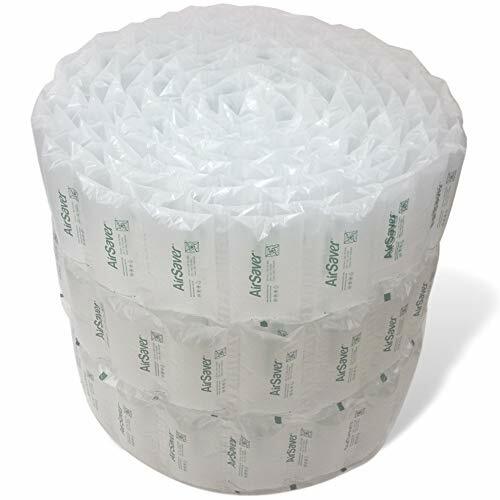 Filled with the soft breeze from Bankhead National Forest, these 100% recyclable AirSaver Air Cushions are an eco-friendly alternative packaging solution to traditional void fill products (paper, peanuts, foam, etc.). AirSaver Air Pillows streamline your shipping operations and reduce costs. The durable lightweight material allows them to be used anywhere - from a small shipping store to a warehouse with multiple shipping stations. No matter what you are shipping, AirSaver Air Cushions are simple yet effective for all your padding, blocking, bracing and void-fill needs. ➥ Save on shipping costs. ➥ Keep items securely placed and protected during transit. ➥ AirSaver Air Pillows pack industrial strength, ultra-lightweight shipping, and consistant high quality . ➥ With every material purchase, our supplier donates a portion of our cost to support charities in the areas of Environment, Education, Healthcare and Poverty. Size and weight will have impact on your shipping costs. When using air pillows for void-fill, you are simply shipping air which adds zero weight to your overall shipping weight. Avoid increased shipping charges when using traditional packing materials. Add Air Pillows to fill up all void in shipping boxes and protect your products during shipping.... You can count the exact number of pillows used in each shipping box and decrease waste. Unrolls to 42 gal, 6.5 cu ft of usable cushioning. while we launch their product. We use them! just the amount of cushioning you need and no waste. for the ultimate shock absorbing solution. Strong seams and seal. 30-day money back guarantee. We are easy. Filled by SunshineColdwater, Inc. If you have any questions about this product by Airsaver Pack, contact us by completing and submitting the form below. If you are looking for a specif part number, please include it with your message.